Since I last spoke a lot has been happening. First and foremost, my friend Michael came to visit. He flew in from Manchester on Wednesday, and he too was equally impressed by Singapore Airlines. 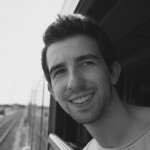 We spent a few days together, where he visited Regensburg before spending the weekend in Munich. 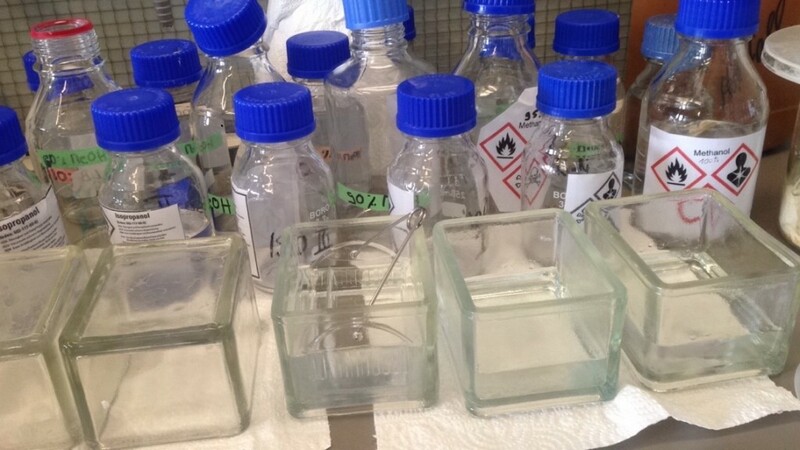 I was in the lab on Thursday, and as I’ve experienced many times, things in science rarely go to plan. The microscope slides hadn’t worked as expected, meaning I had to start again with the cutting, deparrifinating and staining process. That was crushing; falling at the last hurdle. 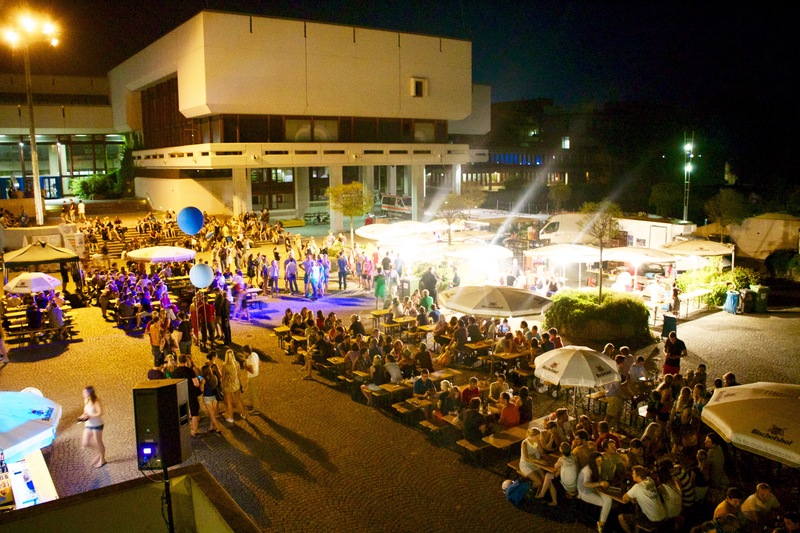 On Thursday evening, I’d caught wind of a summer party that was happening on the University campus. I’d seen it being set up as I was leaving work. It looked fun, so we decided to go along that evening to see what was happening. When we arrived, we found stalls selling German food; bratwurst, brotwurst and leberkase, and a lot of local beers. It was quite quiet, some students still had exams and we did arrive quite late. Nonetheless, it was fun to see a different side to the campus. The University here doesn’t have a Student’s Union like Cardiff, but I think this was similar to the Summer Ball. The next day we caught the train to Munich. Germany has different regions, similar to counties in the UK. Regensburg, Munich and Nuremberg, for example, are in Bavaria. 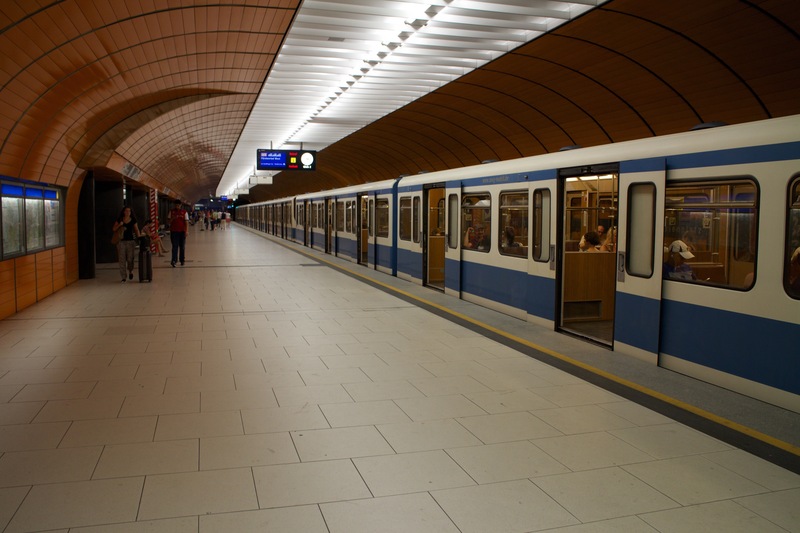 In Bavaria there is an excellent offer, a Bayern Ticket, whereby up to five people can have a days unlimited train travel throughout Bavaria for €22. Having discovered this, we hopped on the train to Munich, and just over an hour later we’d arrived! 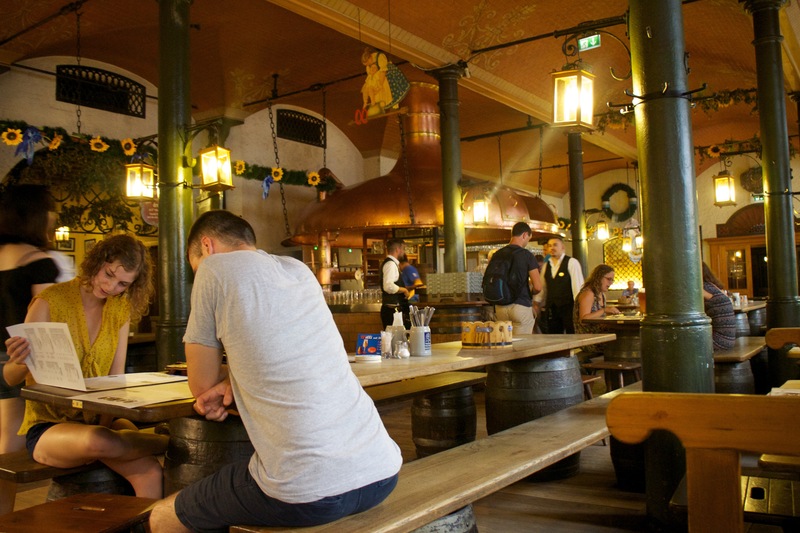 We were keen to try authentic German cuisine, so our first port of call was a German beer hall. It was the most authentic experience I think I’ve had so far. We were not on a table, but a bench supported by empty casks. Halfway though our meal were joined by strangers, excited to try their English on us. The beer was served straight from the cask, in half or full litres, which partly helped give the place its lively, friendly atmosphere. The tables had pretzels on, which was a nice touch, but we didn’t realise that you had to pay for them! 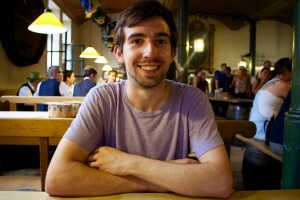 We went for a Schnitzel – we felt it a good compromise between being traditionally German and something we recognised. It was a little dry, but still good! Getting out from the table proved a little tricky though – we ended up boxed in on all sides! 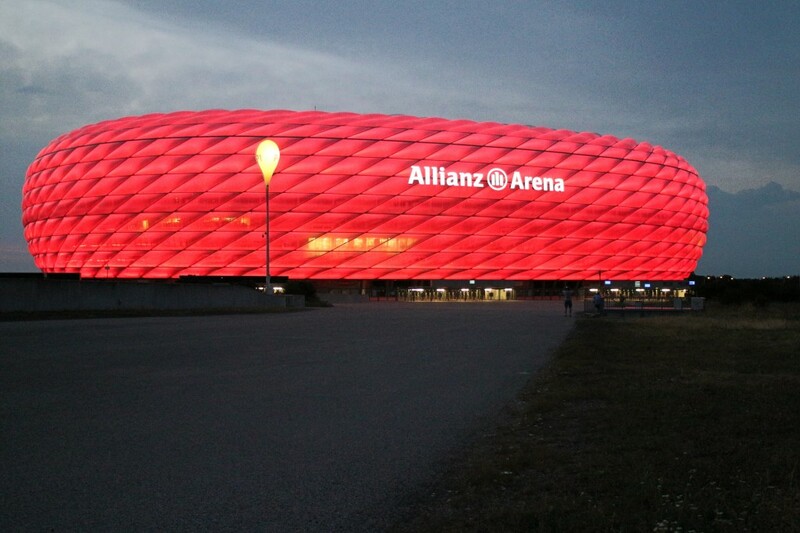 Later that evening, Michael suggested going to visit the Allianz Arena, the home of Bayern Munich. The stadium looks pretty cool, like a bubble. It was about half an hour on the metro to get to. The stadium has a capacity of 71,000 people (three times the number of students at Cardiff). The tickets are much cheaper than at home – around €30. The ticket price also includes free train travel to and from the game, which I think is an excellent idea. However, I’d been told that the true marvels of the stadium become apparent after sunset. The stadium looked *really* cool. In fact, it didn’t look like a stadium at all, but more like a spaceship. I’ve been told that it can light up in different colours, and can even do the colours of a German flag, which is pretty neat. We took the metro back to the hotel. It did look a little vintage, but quick, nonetheless. On Saturday, we paid a visit to the English Garden. It had been recommended by almost everyone I’d spoken to, especially Chris who’s placement was in Munich. 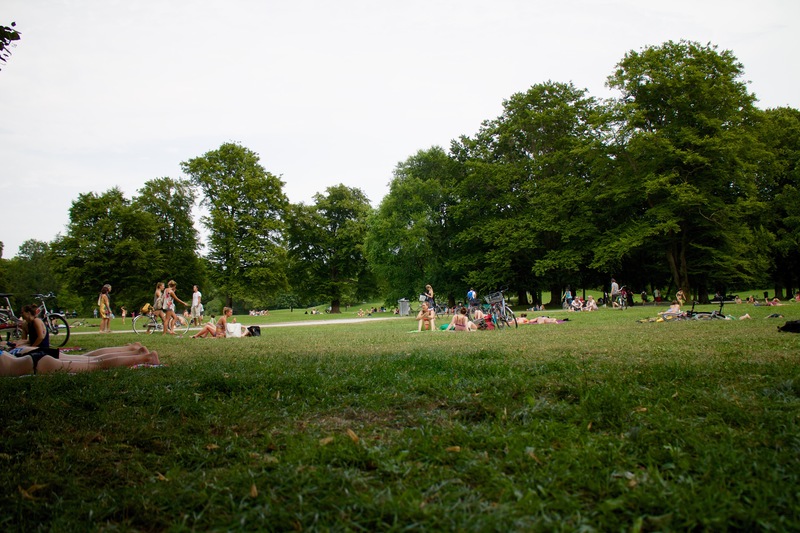 The English Garden is, in fact, a massive park. 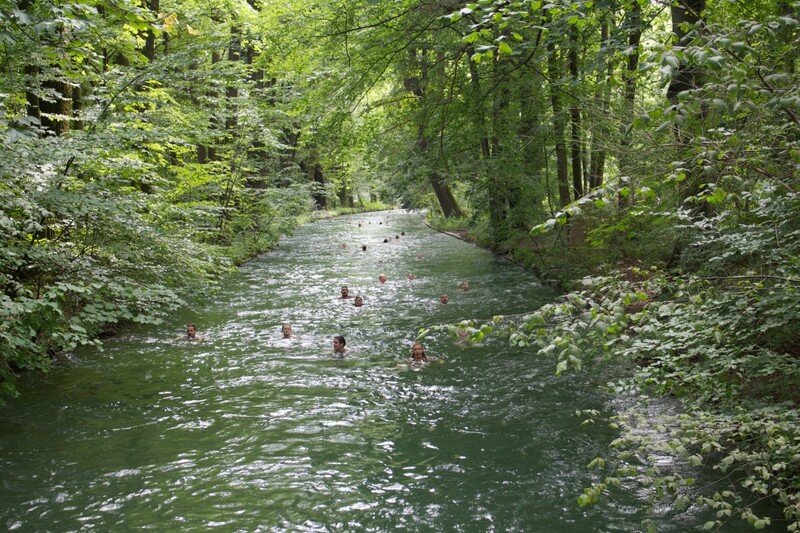 It has a river running through it where people swim and a famous Chinese Tower that is home to one of the biggest beer gardens in Bavaria. 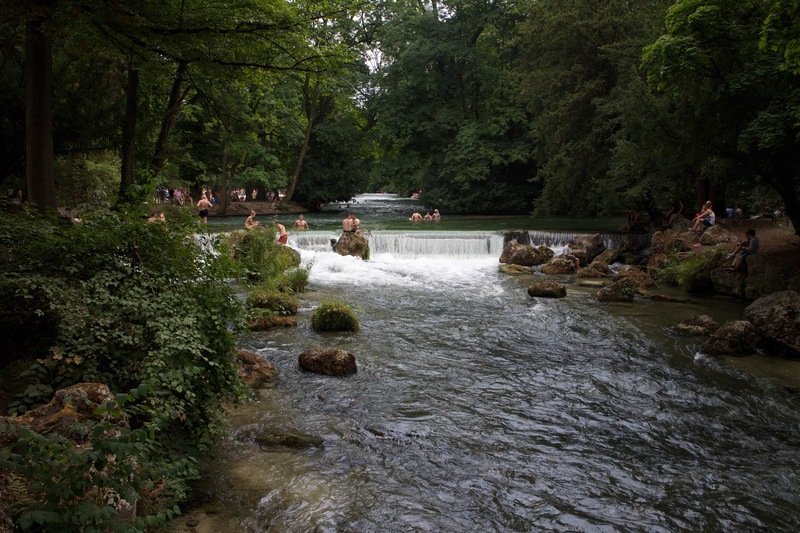 The river was especially cool – because it was a hot day, people could get in and float around the perimeter of the park. …and even a place to surf! We came across the surfing place by accident – there was a fork in the water, and we decided to follow it. Apparently, Munich is one of the biggest surfing hotspots in Germany, thanks to such artificial waves. It looked incredibly fun, I really wanted to try it! I’ve been surfing a couple of times, but I’m not too good; these guys made it look deceivingly easy. 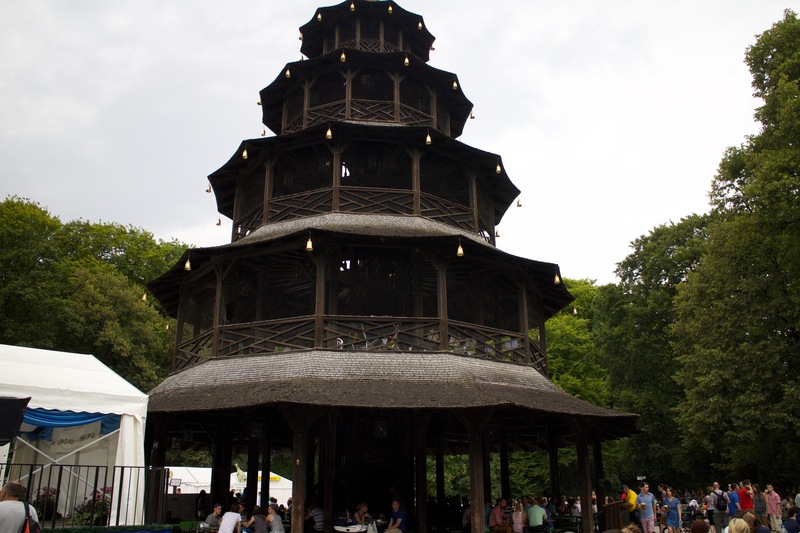 The famous Chinese Tower, and surrounding beer garden. We had food here, which was good, but very expensive. There were beef sausages, which were really similar to a Cumberland sausage (my favourite) – reminding me of home. Sunday rolled round a lot more quickly than expected. We found that despite being a larger city than Regensburg, most supermarkets are closed on a Sunday here too, so we made a stop off at a bakery and started our day. We’d decided, before leaving that we wanted to see the Olympic Park. Home to the Olympics in 1972, the park and pool are now open to the public. The stadium is still used as a venue for concerts. 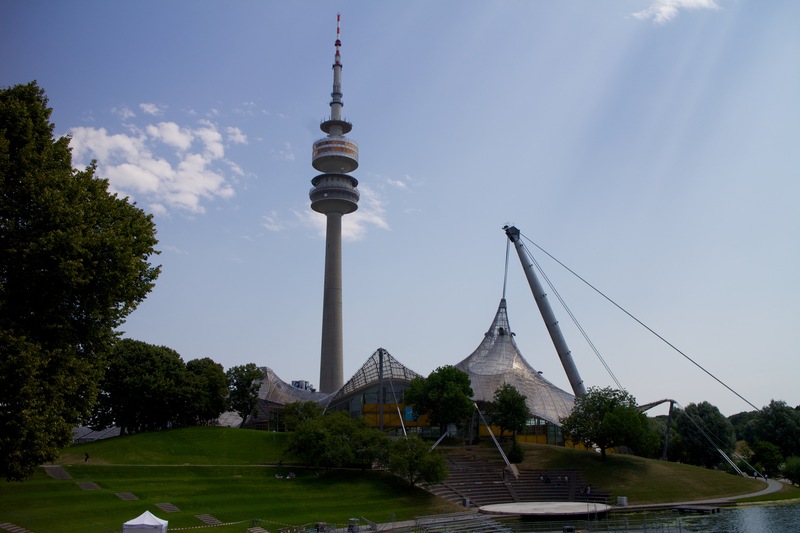 We also saw the Olympic Tower, a beacon of concrete, which holds the title of the highest building in Munich. 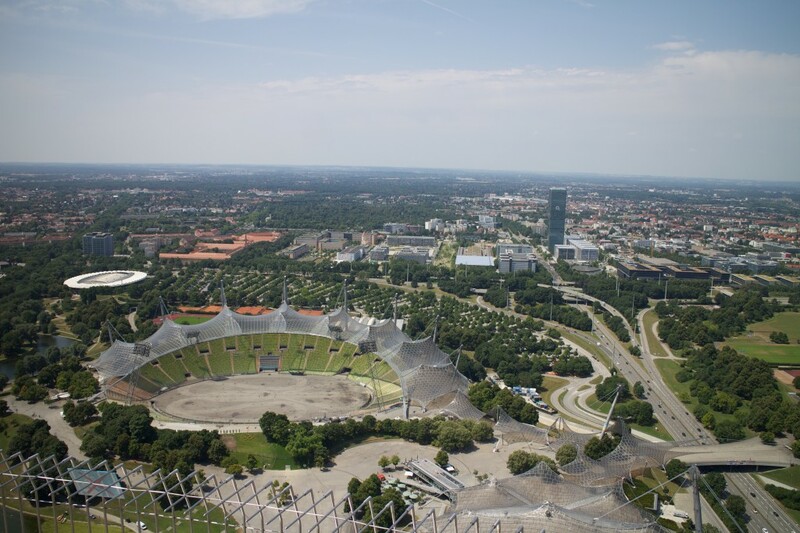 We were able to go to the top for only €5, and from the top there were spectacular views of all of Munich. There was an oddly located ‘Museum of Rock’ at the top of the tower, which was quite interesting. As mentioned before, The Beatles were really big in Germany, and there was a jukebox playing some of their singles at the top. It really is hard to escape their influence, wherever you go. The tower was a great experience – if a little nauseating. It was crazy to think that you were almost three hundred meters in the air! 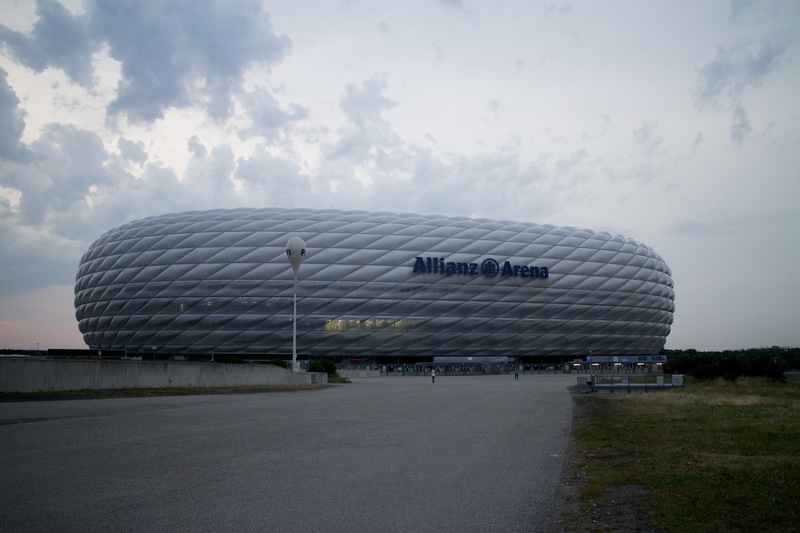 The trip to Munich was really good, it was a very lively place and conveniently not too far away either. It was refreshing to be able to step back and have fun with a friend from home. As fun as Erasmus is, I’m really looking forward to my return home.